Win 2 Tickets to See "Harry Potter and the Half-Blood Prince"
Ladies and gentlemen, after a long hiatus, contests have returned to From the Front Row. 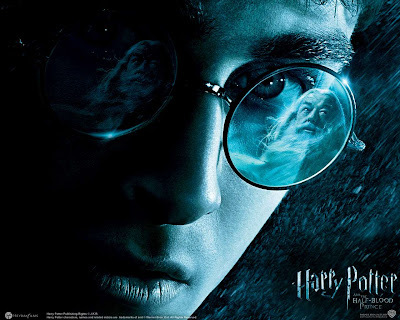 Through our new partnership with Fandango, I am pleased to bring blog readers a chance to win 2 tickets to Harry Potter and the Half-Blood Prince (Warner, 7.15). All you have to do is send an email to contests.fromthefrontrow@gmail.com with the subject heading HARRY POTTER TICKETS, along with your name. The winner will be selected at random from the submissions I receive. Only one entry per person, please. Entries will be accepted through July 10, the winner will be announced on July 11. That is such a great giveaway. Thanks for the chance to win!! I have been waiting for this movie to come out. FUN FUN! I COULD GO MORE TIMES!!! for free! xoxo.